The Gram-positive bacteria is a major challenge for global food manufacturers. 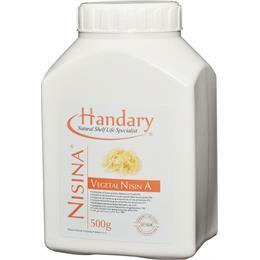 Vegetarian Nisin has been accepted as food antimicrobial of natural origin and it is acknowledged as label-friendly. Vegetarian Nisin is effective against Gram-positive bacteria to increase food safety and preservation and was honored with the 2010 US IFT Expo Innovation Award and entered 2013 FiE Excellence Award Finalist. Vegetarian Nisin is available in two different types of NisinA® and NisinZ®, both are used as high-effective Gram-positive inhibitor in a variety of acidic food and beverages. Besides, Vegetarian nisin is also available in concentrate form under the trademark of White NisinA®, specially designed for spores’ inhibition and pH adjustment in beverages. In 2013, Handary created a clear, highly effective pure Nisin solution, and provided a healthier, natural ingredient for food shelf life protection. This technology has entered the FiE Excellence Award Finalist. In 2012, Handary developed a five-step NaCl elution to remove Nisin impurities. The obtained ultrapure nisin shows high bactericidal activity against both Gram-positive and Gram-negative bacteria and is a tenfold improvement as compared to nisin traditionally obtained via the one-step elution. 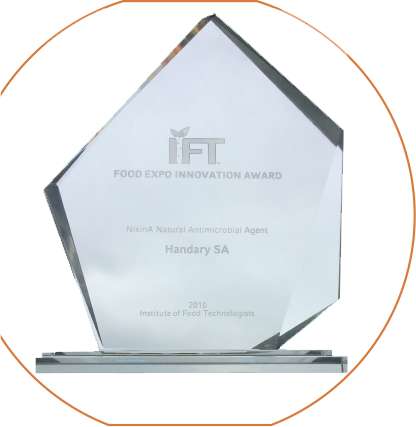 In 2010, Handary discovered a safer vegetable-sourced Nisin A, moving away from traditional dairy-based production, exclusively from renewable, non-GMO vegetal sources without allergens, which was honored the US IFT Expo Innovation Award. NisinA® and NisinZ® have been well-known Nisin brands, distributed above 100 countries.